Employees ring up customers at the checkout counter of a Whole Foods Market. Amazon.com Inc. said Friday that it would buy the Whole Foods grocery chain for $13.7 billion, a move that may accelerate the convergence of online and traditional shopping and insinuate the company even more deeply into consumers’ lives. e-commerce company has begun experimenting with physical stores, the purchase cements it as an important player in the retail grocery field. It is also a key move in its effort to take on Walmart, the world’s largest retailer, which has been actively pushing into online sales and home delivery. What’s more, the deal has the potential to shift how Americans eat. Whole Foods, based in Austin, Texas, operates more than 460 stores and rang up sales of $16 billion in 2016. But its sales have dropped as grocery chains add more organic offerings, and the company has undergone a series of management shake-ups and cost-cutting. In an economy fixated on short-term results, exceptional patience pays off. Portalatin said fresh food has long been considered the “final frontier” in convenience for online consumers. The barriers were obvious: You can’t see, smell, taste, or otherwise inspect food while shopping on a phone or computer. But, to its fans, the Whole Food name bestows a level of trust that customers have come to rely on. Only 7 percent of Americans order their groceries online, but that number is poised to grow significantly, Portalatin said.He noted that 52 percent of online grocery shoppers have an Amazon Prime membership, which provides free two-day shipping on 50 million items for $99 a year. Amazon has long eyed the US grocery sector, which has annual sales of more than $700 billion, as ripe for the kind of disruption it has brought to books and in-home video. Over the past 10 years, the company has taken on slices of the market with its Amazon Fresh grocery options, Amazon Pantry subscription service for household staples, and its Amazon Now one-day deliveries. It has added private-label grocery items like baby food, coffee, and diapers, and opened a grocery store prototype called Amazon Go last December. The Seattle store uses tracking technology to enable shoppers to simply place items in their carts and pay electronically as they walk out of the store without stopping at a cash register. 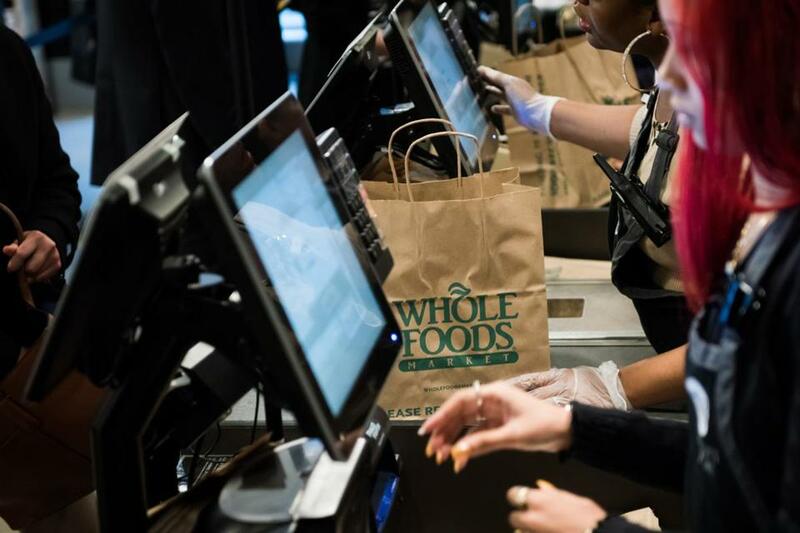 While analysts don’t see Amazon introducing Go technology to Whole Foods stores anytime soon, they do believe that the company will instill its fixation on offering low prices at Whole Foods, which has been criticized for its high prices. 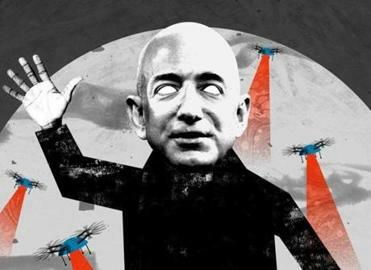 “One of the most immediate things I would expect is Amazon working to eliminate the ‘Whole paycheck’ moniker” that’s long been associated with the chain, said Adam Salomone, a venture capitalist and cofounder of the Food Loft, a Boston-based startup incubator for food businesses. The acquisition, Amazon’s largest, also has the potential to change the very nature of the food that shoppers will buy, said Brita Rosenheim, a food industry analyst with Rosenheim Advisors. The advent of meal kit subscription services like Blue Apron, combined with increasing demand for healthy and organic products, has forced grocery stores and traditional consumer packaged suppliers to search for new ways to give consumers fresher, more innovative products. They’re now going to have to compete directly with the private-label grocery offerings sold by Whole Foods and Amazon. The sale was also hailed by players in the retail industry as a sign that the brick-and-mortar store is still important to consumers. But the shopping experience itself is likely to change, said Elliot Rabinovich, a professor in supply chain management at Arizona State University. In its recent shareholders meeting, Walmart announced it was rolling out innovations that would let customers pick up their online orders in-store and enable store associates to make deliveries to customers on their way to and from work. Rabinovich said it’s likely that Amazon will use its Whole Foods footprint in a similar way, creating new pickup points for customers and doing home delivery directly from the stores. And that surely has to make other retailers nervous. One of the largest questions to arise from the acquisition was also about the long-term future of Instacart, the local grocery store delivery startup that is an exclusive partner of Whole Foods, and received investment funding from the company last year. Sources close to Instacart said the company’s five-year contract with Whole Foods will remain intact should the sale go through. Amazon has said that Whole Foods will continue to operate the stores under its name, and that chief executive John Mackey will stay on and lead the company from its headquarters in Austin. But Rosenheim believes the changes will be felt across the industry, and even shoppers who are loyal to their local grocers will end up feeling the effects of the merger.